A contemporary ceiling pendant lamp shade, constructed from stunning chromed glass in a multi-rippled tiered design. Very easy to install without tools or an electrician and designed to fit directly to an existing wire and lamp holder. Will fit both 29mm and 42mm lamp holders using the supplied adapter. 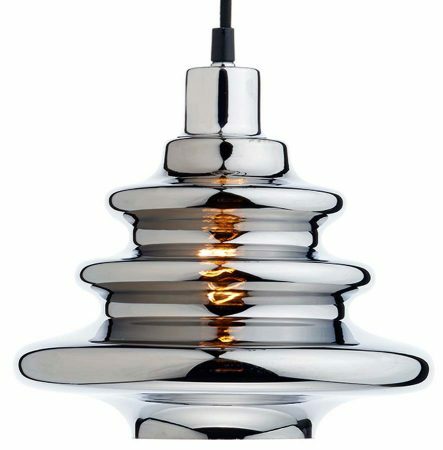 Our illustration shows the shade using a black flex and chrome pendant lamp holder that can be found by following this link. 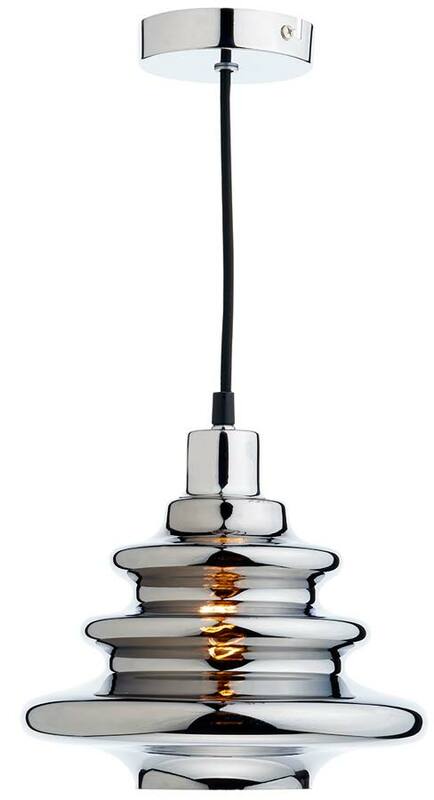 Other products in the Zephyr range can be viewed below and include a gorgeous copper glass non-electric pendant shade.